Dangerous weather can strike anytime, anywhere. 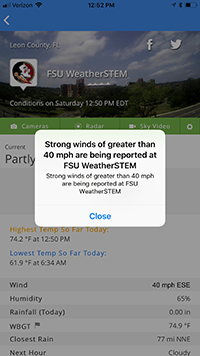 WeatherSTEM offers a host of web, mobile, and social media features, including our revolutionary Practical Lightning Assistant, that let you and your stakeholders track dangerous conditions as they're unfolding. WeatherSTEM units capture hyperlocal data and feed it into our platform where it's integrated with radar, satellite, and lightning imagery. Through an innovative partnership with EarthNetworks, we are able to display lightning information in real-time as it happens across the Continental United States. The public can see in real-time the proximity of potentially fatal lightning strikes to their location. 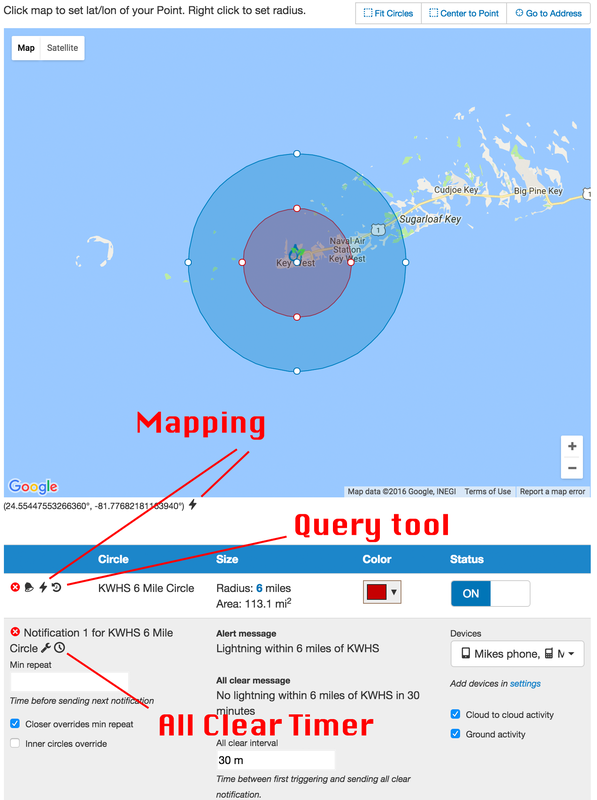 Administrative users can access our Practical Lightning Assistant that enables complex shapes and concentric circles to be placed on a map and notifications to be dispatched when lightning occurs within the geographic regions represented by those shapes. Because our lightning protection program is "cloud-based", you do not need to purchase a lightning antenna to benefit from the state-of-the-art in lightning awareness technology. If you have a facility you wish to outfit with audible technologies such as horns that sound when lightning threatens, we do offer an Outdoor Alerting System. 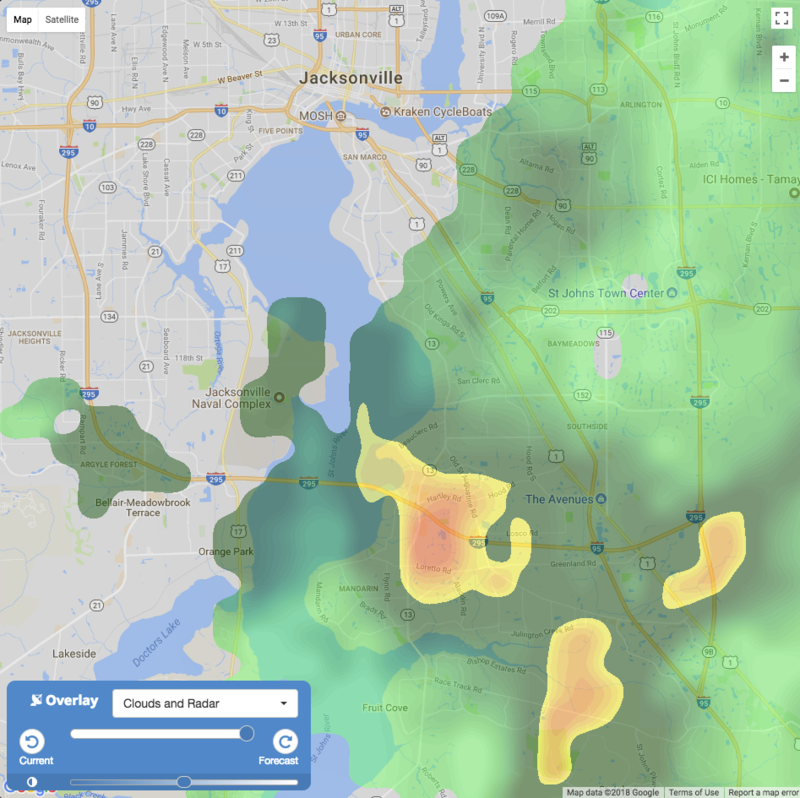 Through our partnership with The Weather Company | An IBM Business, we are able to offer high quality, real-time radar and satellite imagery. Radar/satellite imagery can be viewed on a hyperlocal basis or from a global perspective. Our radar/satellite features have both pastcast and futurecast capabilities, meaning you can view cloud and precipitation patterns as they existed during the last several hours as well as what they're forecast to be over the next several hours. The traditional metric to assess the affects of heat on the body has been Heat Index, which considers the cumulative effects of temperature and humidity. There is a more complete metric known as Wet Bulb Globe Temperature (WBGT) that not only considers temperature and humidity, but radiation and wind as well. WeatherSTEM units have all the necessary inputs to compute WBGT and we also offer a WBGT forecast model. Some states, including Georgia, have adapted new legislation requiring WBGT measurements at the onset of any public activities. Get WeatherSTEM and you'll have the state of the art in heat awareness technology. You can easily set up simple to sophisticated notifications based on current or forecast weather conditions. These notifications can be pushed to your mobile device via the WeatherSTEM mobile app for iOS or Android. Notifications can also be delivered via e-mail, text message, phone call, or pushed to social media (Facebook/Twitter). You can also set up a Device Bundle which would be a list of devices to send a single notification to. 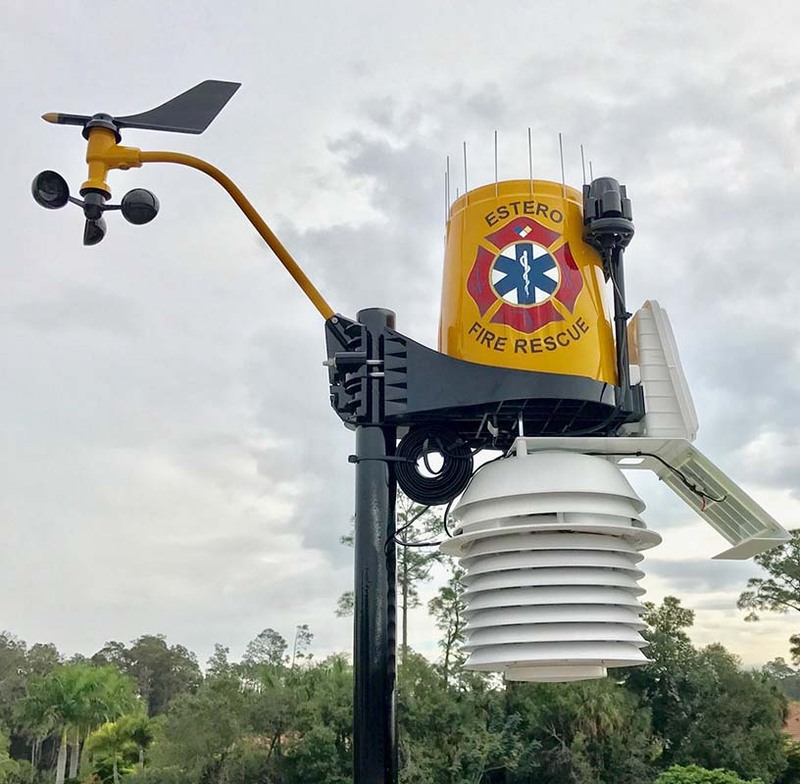 National Weather Service alerts are automatically displayed on all WeatherSTEM websites, the WeatherSTEM mobile app, and on WeatherSTEM social media pages. Alert advisories can also be pushed out to mobile devices.